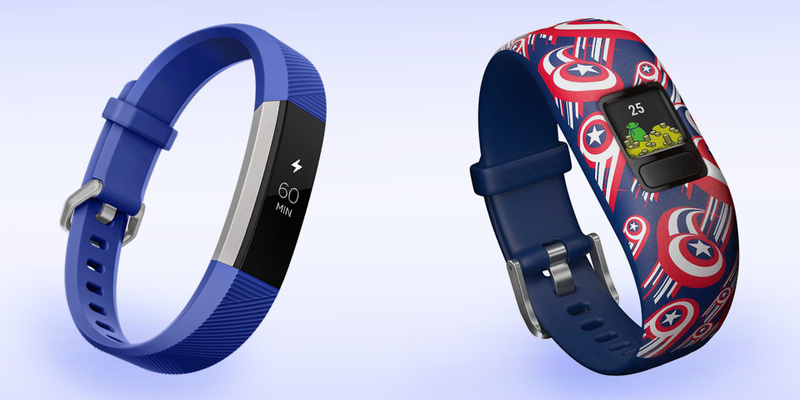 Could these £80 activity trackers be the perfect motivation for your child? It’s Easter holidays, the kids are off school, but the wet and windy weather could make it all too easy for the little ones to get bored and frustrated. These activity trackers for children could be just the ticket. The Garmin Vivofit Jr 2 and Fitbit Ace offer eggciting ways to encourage your child to be active, and to help with chores such as making their bed or walking the dog. Both come with a variety of motivational tools, from friendly family step competitions to rewards for activity or chores. So what other features are on offer, and should you be worried about security? We take a look below. To find out how effective the Garmin Vivofit Jr 2 really is, we asked an audience that knows best – children. 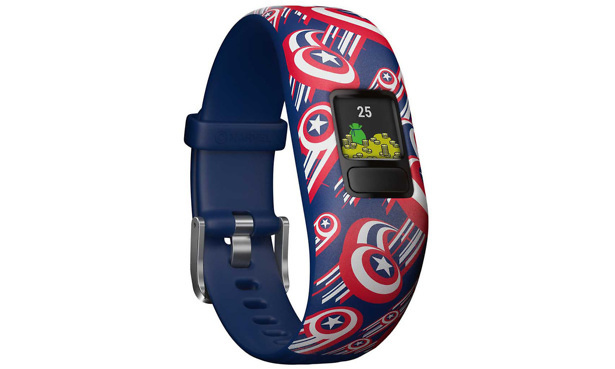 The activity tracker from Garmin costs £80, is available in two strap sizes suitable for kids from ages four and up, and comes in Disney, Star Wars or Marvel designs. It weighs 17.5g, lightweight enough for little wrists and has a replaceable coin cell battery which Garmin claims will last for a year. It can track steps, sleep and active minutes, plus it’s waterproof to 50 metres. There are specific activity tracking features for children, including assigning and monitoring chores, and gaining virtual coin rewards (which can be exchanged for agreed-upon rewards) for completing them. Parents can use the Vivofit Jr app, which is installed on a parent or guardian’s phone, to add individual profiles for each child, including assigning the number of coins rewarded for each task as well as viewing activity and sleep. The app includes games and adventures which kids can unlock by meeting their 60-minute daily activity goal. Similar to the Fitbit Ace, there’s a family step leader board in the app, which can link up all compatible Garmin trackers to create a fun family competition. Our two expert testers – aged six and nine, along with their parents, put the Garmin Vivofit Jr 2 through some rigorous tests. You can find out what they thought by reading our full Garmin Vivofit Jr 2 first look review. The Fitbit Ace was announced in March alongside the Versa smartwatch, and it’s currently available on pre-order for £80. 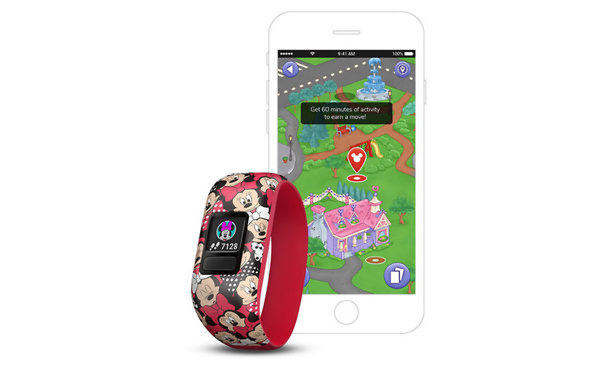 It’s an activity tracker designed for children aged 8 and up. 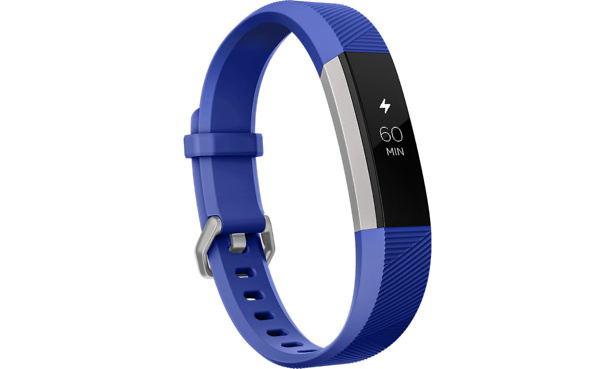 It looks strikingly similar to the Fitbit Alta HR, and is exactly the same width at 15mm. The adjustable strap is suitable for wrists from 125mm to 161mm, so it can grow with your child. The Ace has a rechargeable battery, which Fitbit claims will last for up to five days – so you’ll need to charge it every weekend. It can track steps and active minutes, plus sleep. When goals are met, the tracker will buzz, and celebration messages and icons will be displayed on the OLED touchscreen display. Unlike the Garmin Vivofit Jr 2, it isn’t suitable for swimming, but it is splashproof, so should survive puddling jumping or a rainy walk home from school. The companion Fitbit app has two views – parent view and kids view. The parent view will let guardians set up a family account and an individual account for their child for tracking activity and progress. In kids view, a child can see stats or badges and change the clock face on the watch. There’s also a new part of the app called Fitbit Family, where Fitbit trackers can be added and linked for competitions. We haven’t had our hands on the Fitbit Ace yet, but we’ve taken a look at what’s on offer. Read our first impressions of the Fitbit Ace for more. Are kids’ activity trackers secure? In 2017, an investigation by the Norwegian Consumer Council (NCC) into three kids smartwatches – the Gator 2 watch, SeTracker watches and Xplora watch – revealed worrying security flaws and threats to a child’s privacy. The NCC found that hackers could take control of the watches and use them to track a child’s location, eavesdrop on or communicate with them, or even trick the parents into thinking the watch was somewhere it was not. If you already have one of the watches tested by the NCC, or you are concerned about another activity tracker or smartwatch for kids, we’d advise you to stop using it, turn it off and uninstall the app. We’ve found both Garmin and Fitbit activity trackers to be secure during our lab testing. Additionally, neither the Garmin Vivofit Jr 2 or Fitbit Ace have built-in GPS, so you shouldn’t have an issue with location tracking. If you’re looking to purchase a kids’ activity tracker or smartwatch in the future, it’s vital to do your research on both the watch and the manufacturer to ensure that proper security has been taken seriously. Click the links to find out more about Fitbit and Garmin fitness watches and activity trackers.